Turkish Airlines has launched enticing and unique offers for travellers from the GCC region to Istanbul and to other connecting cities of Turkey. The offer includes trips to Istanbul, Turkey's most populous city as well as a strong cultural and financial hub with an additional option of booking onward journey to any other destination in Turkey at special fares. This offer is valid until April 16 for travel between April 1 and June 15, 2017. Passengers will be able to book from a wide variety of discounted tickets, including 16 roundtrip flights from the Gulf region. Flights from Abu Dhabi and Dubai in the UAE can be purchased for as low as Dh1,350 ($367.4) and Dh1,860 ($506.2) with an option to purchase onward tickets for just Dh120 ($32.6) which amounts to a total Dh1,470 ($400) and Dh1,980 ($538.9) respectively (including taxes and fees). The offer is extended to various cities of Saudi Arabia where passengers can book their tickets to Istanbul for as low as SR1,166 ($310.8) from Dammam, SR1,146 ($305.4) from Jeddah, Riyadh and Yanbu, SR1,296 ($345.4) from Al-Gassim, and SR1,096 ($292) from Ta’if. 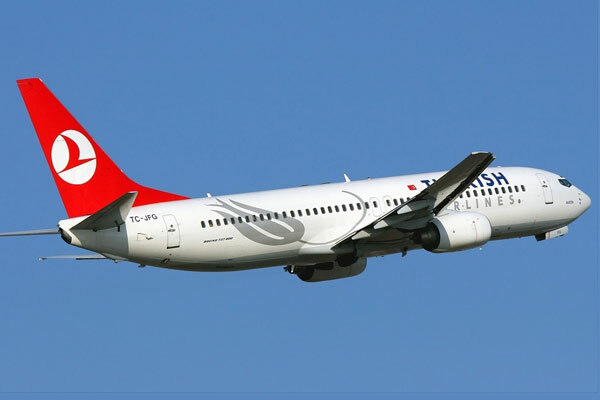 These fares provide the option for passengers to connect their flights to any other cities in Turkey at a nominal fare. Additionally, passengers from Doha, Qatar and Kuwait City can use the same ‘Add-on’ option to purchase tickets to travel for as less as QR1,220 ($334.7) and KWD75 ($245.5), and from Manama, Bahrain and Muscat, Oman for just BD126 ($331.8) and RO144 ($372.6) respectively. Istanbul, Turkey is a city well known for its mosques, bazaars, and Turkish baths keeping visitors happily occupied for an entire trip. The city is also famous for its beautiful architecture and amazing main sights including the Sultanahmet Camii, also known as the Blue Mosque, the Galata Bridge and the Miniaturk Park, which contains tiny artifacts worth seeing. The Grand Bazaar located in the city also contains thousands of shops to browse, while the Egyptian Bazaar is the most famous covered shopping complex after only the Grand Bazaar and is a fragrant trove of spices and fruit.